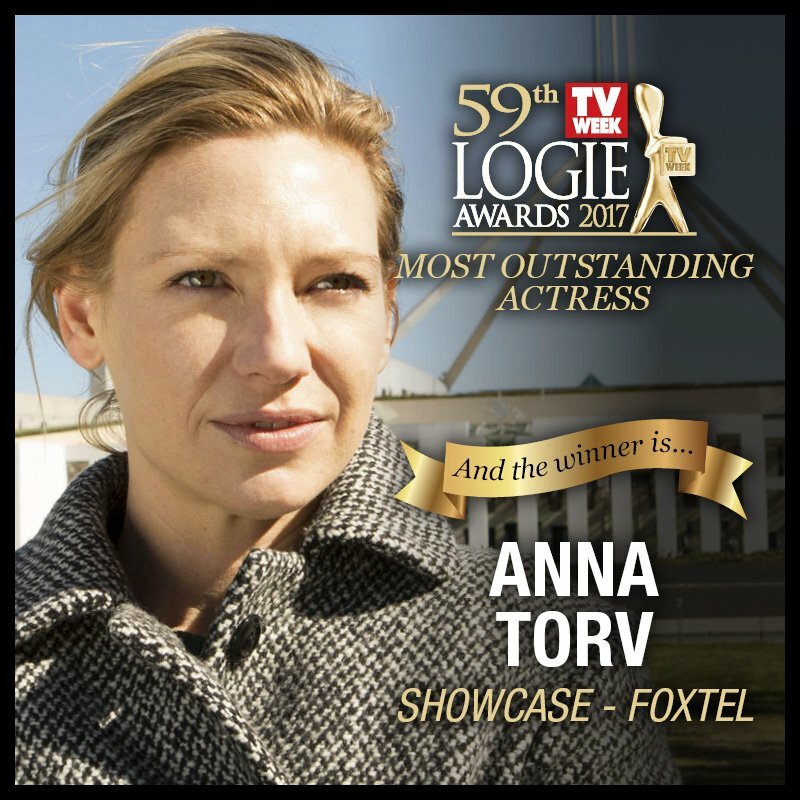 Of course I grew up watching the Logies so this is really special and I feel incredibly honored. Thank you so much. There’s so many people I want to thank- Chris Uhlmann and Steve Lewis who wrote the book that Secret City was based on. Thank you for your generosity and also for allowing Harry to become Harriet so that I could play her. Foxtel, Brian Walsh and Penny Win, thank you. Matchbox Pictures, Joanna Werner and Penny Chapman thank you so much. And I want to thank Emma Freeman who really did steer this great big ship. That collective and our incredible writers, our outstanding cast and amazing crew came together to create a show that I am so proud of and I’m thrilled to accept this award as a direct result of everyone who worked on the production of Secret City. Thank you. Secret City‘s Damon Herriman went on to take home the award for Most Outstanding Supporting Actor for his role as Kim Gordon.